First licensed February 1972 as VE3AKG. Calls held: VE3AKG (1972 — 1979), PA9YI (1973), VE6OU (1979 — Present), VE3OZU (1985-1990), VE3EJ (1990 — Present), 8P9EJ (1998), VP8DEJ (2002), VP2EEJ (2004), VC3J (2006, 2007). DXpedition team member: VP8THU (South Sandwich, 2002), VP8GEO (South Georgia, 2002), FT5XO (Kerguelin, 2005) and VP8ORK (South Orkney 2011). 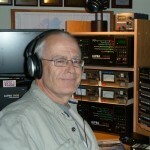 CQ Contest Hall of Fame — May 2011. CW Ops member since 2010. FOC member since 2011. Canadian team leader at WRTC 1996 (4th place as K6P), WRTC 2000 (11th place as S581I), WRTC 2002 (6th place as OJ5A), WRTC 2006 (First place as PT5M), and WRTC 2010 (22nd place as R34C). WRTC partner VE7ZO (VE3IY) on all 5 occasions. I am looking forward to the challenge and the thrill of the ‘level playing field’ competition as well as the opportunity to once again socialize with the best people in the contesting community.